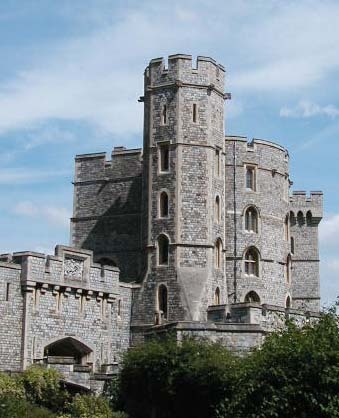 Yesterday, we went to Windsor. We wanted to see the Queen. However, she has a very bad cold and had to cancel all of her engagements. So, we toured the castle. Here is just a small part of the castle. Its architecture, décor, and collections of paintings and furniture are astounding. Colorful Grenedier guard at Windsor. Rock garden at Windsor Castle. The Thames, as seen in the town of Windsor. Another view of the Thames from Windsor. We also walked around the town of Eaton, on the other side of the Thames from Windsor. Here Tom scales a wall to get a look at Eaton College.